Does swelling and bruise occur after nose surgery? First of all, it is important to follow the instructions of your doctor for post-operative reasons in terms of bruising, swelling and edema formation. In this process, the nose changes shape more quickly in the first weeks, but in the following weeks this shape change is slower. Therefore, after surgery, too much edema in the nose may not create the desired image immediately. Over time, the nose will arrive at will after a certain period of time so that the edema will diminish and the skin will reach its normal thickness. At the same time, the desired post-operative outcome depends on the technique used and the procedures performed. The differences that occur over time should be followed up with the doctor. When does my bruise and swelling go after surgery? 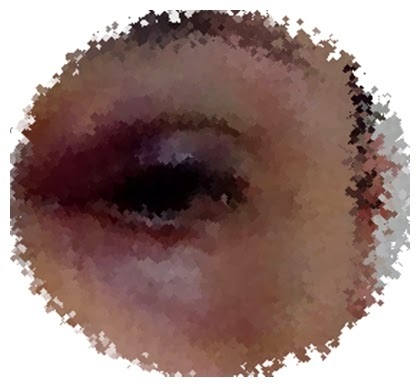 One of the situations that can occur after nasal aesthetics are swelling and bruises around the eye. Thanks to the bleeding drugs used during nose surgery, it reduces the complaints of bruising and swelling. The application of ice compresses to the eye around the eye for 15 minutes at regular intervals for at least 2 days postoperatively will reduce the complaints of the patient to a minimal degree. This plaster must be preserved. The post-operative bruises on the 7th day are reduced by half compared to the first days. Between 14 and 21 days the bruise passes completely. The swelling is six months away. An edema that will not disturb you will disappear for a longer time. What should I avoid after rhinoplasty? After nose surgery is completed, it should be rested at home. However, after 2 days they can return to school or to a non-exhausting business life. Returning to the daily routine can take several weeks. Certainly the patient should get more detailed information from the surgeon before going through the normal daily life. A person with aesthetic surgery should avoid at least 2 weeks of exercise and exercise that requires high effort (running, swimming, etc.). Keep your nose for 8 weeks and be gentle and careful when washing your face while you are wearing makeup. Also, if you are wearing eyeglasses, be sure to wear eyeglasses after removing the splint and do not sit on the back of your glasses for 2 months. It will be more useful to use contact lenses when needed. Your doctor will often call the control. • Patients who are taken to the room immediately after a nasal surgery may often have signs of chills or chills. This can also be seen as a result of muscle relaxant medications given during general anesthesia. In this case, there is no inconvenience in the patient's suture; heating of the patient's room, keeping the patient's head horizontally in the center of the heart can increase the speed of the face in a very fast way. Without consulting your doctor, please do not heat the patient's room! • After aesthetic nose surgery, there is not much pain as it used to be; Sensitive individuals with low levels of pain relief can use pain relievers over the normal postoperative dose. Taking drugs with antinflammatory properties (roughly containing painkillers containing active ingredient other than paracetamol as an active ingredient) in the early postoperative period can increase bleeding and mor- bation by acting like an aspirin-like effect. Please do not use any medication without consulting your doctor! • Bleeding - it may be true that plants such as garlic, which can have an effect on clotting, are not defeated in early laying. • After surgery, sportive activities, exercises that may increase blood pressure in the head area may increase morale. For example, I would suggest lifting the head by tilting the head (I am 45 minutes walk from the day after the surgery, 2 days after the surgery, late evening in cool air). Please do not start the exerciser without consulting your doctor! • Feeding with hot products after nasal aesthetic surgery, face steam (going to the sauna), walking in the sun can cause post-operative edema and increased bruising. Please do not go to the sauna early in the morning without consulting your doctor and do not walk in the sunny hours! • Cold compress may be beneficial especially after the first nose and throat surgery. The cold application should not be continuous zero zero degree, ie constant ice application is wrong. If there is no bleeding at zero, tissue healing is adversely affected. Do not apply cold continuously without consulting your doctor! • Use of medications that may have an effect on blood clotting in a few days before surgery may lead to excessive post-operative bruising (link to the list of risky medications that should not be used before surgery and detailed information) >> Burun Estetiği Ameliyatı Öncesi Hazırlık. Tell your doctor about your medications you used before surgery!